View more photos of the 8th EU Thailand National Intervarsity Debate Championship on our Facebook page. As Thailand prepares to fully integrate into the Association of South East Asian Nations (ASEAN) in 2015 and extend its global influence, it faces numerous challenges in the development of the infrastructure and training necessary to ensure its success. Essential to this process is the education of Thailand’s youth, enabling them to capitalize on the many socio-economic opportunities the many changes will bring. 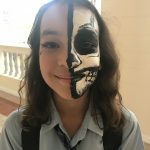 As part of this learning process, many Thai, bilingual and international schools have embraced public speaking and debate as a means of raising awareness among students and motivating them to play a role in shaping Thailand’s future as a global leader. 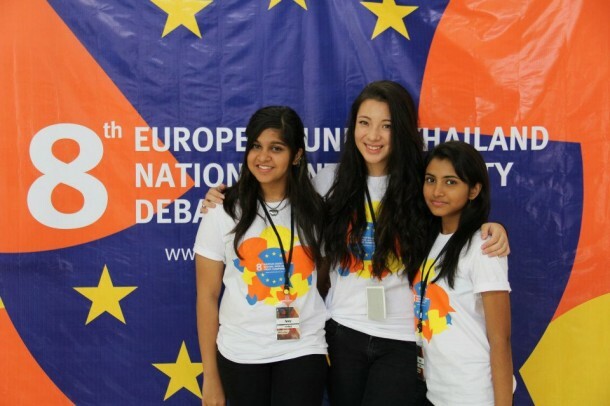 Adopting this philosophy, the Delegation of the European Union to Thailand has partnered with education institutions in organizing the annual EU Thailand National Inter-varsity Debate Championship, now in its eighth year. 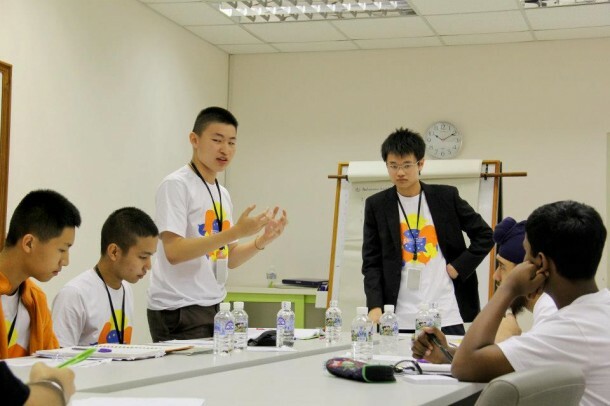 By focusing on contemporary issues such as poverty, free trade, warfare, human rights and global economics, the tournament enables students at the high school and university levels to engage one another in English debates that expose them to a wide range of perspectives and philosophies. Equally important is the confidence they gain from the experience, preparing them to employ their new-found skills as future leaders in Thailand and the greater Asia-Pacific region. The 8th EU Thailand National Inter-varsity Debate Championship, held outside Bangkok for the first time in 2012, took place from October 13th to 16th at the beautiful Khon Kaen University campus. While welcoming representatives from other prestigious universities such as Thammasat, Mahidol and Chulalongkorn, the tournament also included high school students from top secondary schools. Long-time participants Triam Udom Suksa and Wells International School both fielded multiple teams, as did many other English-language schools. Advancing through a gruelling six rounds over two days, the teams sparred over the merits of nuclear energy and bailouts, relocating Bangkok as Thailand’s capital, the role of entertainment in culture, and global conflicts. 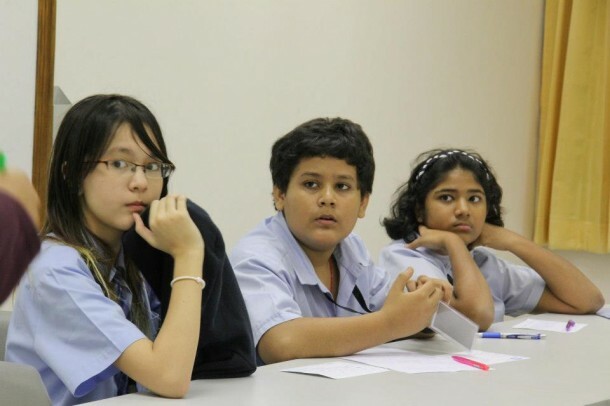 As the national champions in 2008, Wells International School entered the tournament with high hopes, and its students did not disappoint. All three of its teams qualified for the playoffs, including its middle school beginners–Chalisa (Lisa) Brothers, Ranuli Illakone and Shivam Mohan–who posted a 3-3 record with two victories against university teams. The secondary senior team of Qurrat (Annie) Ul Ain, Leila-Dawn Ramsey Assawamatiyanont and Hasini Nimesha Basnayake also posted a 3-3 record despite being in their first tournament, and advanced to the quarterfinals before being eliminated. A formidable force, the primary senior Wells team of Harjas Anandsongvit, Ding Shun (Daryl) Ong and Akhil Shanishetti—who collectively hold a place on the national debate team, a national championship at the World Scholar’s Cup and an individual world championship at that same event—stormed through the ranks, posting a 4-2 record in the initial two days of the event. As they advanced to the semi-finals, the veteran debaters faced a stiff challenge from Triam Udom Suksa’s secondary team, debating gender issues—an increasingly publicized topic worldwide. While their opponents formed a solid case, Wells proved to be too strong a team and defeated them to advance to the finals, where they faced Triam Udom Suksa’s primary team. 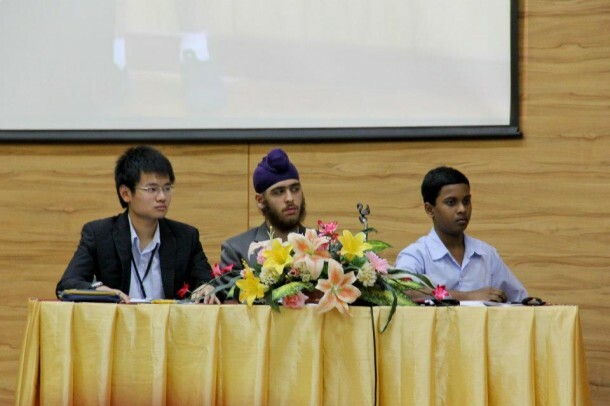 As the government, the Wells debaters held that the European Union should take harsh action against environmental terrorism. 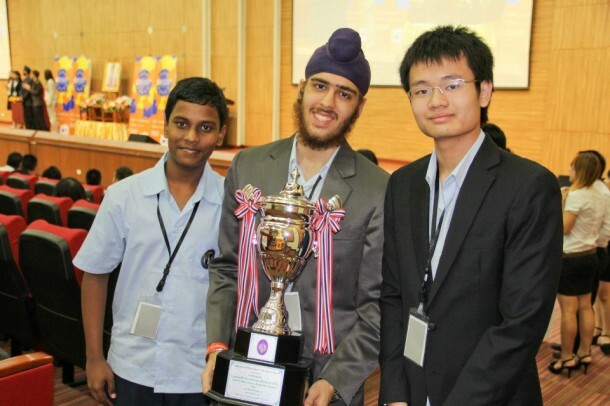 Engaging the opposition with sharp rhetoric and a cohesive case, Harjas, Daryl and Akhil overwhelmed Triam Udom Suksa, earning a 5-2 split decision from the adjudicators and Wells’ second national championship in the tournament. 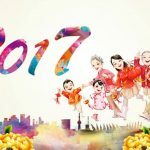 While the victory was welcome, the greatest benefit comes in the form of experience. 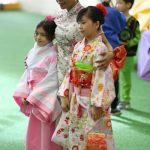 By participating in the tournament, students gain skills and knowledge that enable them to better understand the modern global dynamic, and become leaders in their communities.